2 dimensional barcodes are increasingly used across the supply chain in many different sectors including the pharmaceutical and healthcare industries in conjunction with the new Unique Device Identification (UDI) legislation, and the EU Falsified Medicine Directive (FMD). Weyfringe can help ensure your barcodes are always within specification with the Axicon 15000 verifier that is capable of verifying both Linear (1D) and 2D barcodes. Effective barcode verification requires the correct equipment and properly trained operators. Weyfringe can supply Axicon 15000 barcode verifiers capable of decoding ECC200 and GS1 Datamatrix 2D barcodes (NHS UDI barcodes) alongside many more 1 and 2 dimensional barcodes. The verifiers are manufactured and certified to ISO/IEC 15415, ISO/IEC 15416, ISO/IEC 15426-1 and ISO/IEC 15426-2. 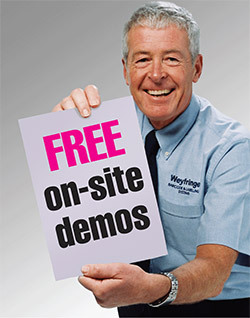 Weyfringe also offer an operator training service to ensure you understand how to use the verification equipment correctly and make adjustments to your barcode print quality to address any issues you may encounter. For Unique Device Identification (UDI) the Axicon Series 15000 software can check the correct Application Identifiers (AI) have been used. It will also show if it is suitable for retail, distribution, point of sale or bedside. This is particularly important for the healthcare and pharmaceutical industries due to the latest legislation from the International Medical Device Regulator Forum (IMDRF), the United States Food and Drug Administration (FDA) and the European Commission including the NHS. This aims for a globally harmonised and consistent approach to increase patient safety and help optimise patient care through legislation for Unique Device Identification (UDI) including device registration with the Global UDI Database (GUDID). If you supply medicines and medical equipment to the NHS, or export to mainland Europe or the U.S your products will be required to carry barcodes containing specific information. GS1 has been accredited as a Device Identifier (DI) issuing agency and GS1 standards for identification and barcoding conform to all UDI requirements such as; the barcode symbols to use, the product data to be included in the barcode, the data that must be stored in the GUDID (such as Device Identifier, Device Characteristics and Device Status etc.) and the product identification at each level of the packaging hierarchy (e.g. single unit package, multiple unit package & case). Barcode symbols used throughout the healthcare and pharmaceutical supply chain are both Linear (1D) and 2D. Currently both ECC200 Datamatrix (containing no Application Identifiers (AI) and GS1 Datamatrix (containing Application Identifiers) 2D codes are used for UDI compliance. The NHS in the UK use GS1 Datamatrix barcodes, sometimes referred to as NHS UDI barcodes. Weyfringe, as GS1 UK accredited solution partners, are ideally placed to help you conform with the latest regulations. Our Barcode Masters who have spent many years in the industry working in production, customer support and sales sectors are independently trained and assessed to GS1 international barcode and labelling standards. Our Barcode Masters will be happy to answer your questions and provide sensible advice. Axicon 15000 verifiers are capable of verifying both linear (1 dimensional) and 2 dimensional barcodes (within maximum image size of 51mm x 31mm) including EAN-8 & 13, GS1 DataMatrix and GS1 QR Code. Larger size barcodes can be decoded with other Axicon verifiers up to a maximum width of 195mm (the largest GS1 specification barcode is a maximum of 165mm wide including light margins). Supplied with software capable of producing reports for each barcode verified including an image of the barcode that can be saved or printed. The software can also automatically save all of these files if this is required for ISO: 9001 traceability requirements and due diligence. Below are examples of some of the different codes as seen through the verifier software interface. Axicon 15000 barcode verifiers are powered from the USB2 port on your PC, making them portable if used with a laptop and are compatible with any currently supported versions of windows. Easy to use, the barcode verifier can identify a non-conforming barcode in seconds as well as identifying any corrective areas that need to be addressed. Simple pass/fail screens can be selected or more detailed explanations of issues identified can be drilled down into for a full technical explanation of which part of the barcode requires attention. Request a FREE no-obligation demonstration of Axicon 2D barcode verifiers and see for yourself these powerful yet easy to use verifiers in action whilst having one of our Barcode Masters on hand to answer any barcode labelling questions you may have.